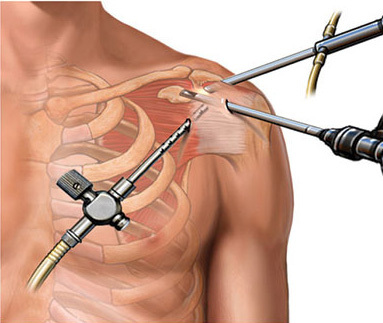 Shoulder arthroscopy is a surgical procedure. A tiny camera called arthroscope is inserted inside the shoulder through a small incision to examine and repair the tissues inside or around the shoulder joint. This procedure is being performed since 1970’s. This process has made it faster and easier to diagnose, treat and recover from a surgery. 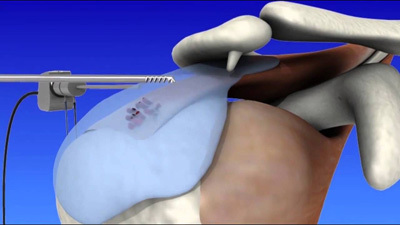 With the development of new instruments and surgical techniques, the shoulder arthroscopy surgical procedure is improving with each passing year. When Shoulder Arthroscopy is Recommended? A person is recommended this surgery when his pain does not respond to any kind of non-surgical treatment procedures like physical therapy, medications, injections, exercise or rest to reduce inflammation. Inflammation is a normal body reaction to any kind of disease or injury. A diseased or injured shoulder joint will have inflammation in the form of pain, swelling and stiffness. Most shoulder problems are result of overuse, injury and age-related wear and tear. Shoulder arthroscopy alleviates painful symptoms of various problems that harm the rotator cuff tendons, articular cartilage, labrum and other soft tissues around the join. What Kind of Shoulder Problems Demands Shoulder Arthroscopy? Inform your health care service provider about any kind of prescribed or non-prescribed medicine, supplement or herb you are taking. • You may be asked to stop taking any medicine that makes it difficult to clot blood. • Ask your surgeon to tell the name of the medicines if any you can still take till the date of surgery. • Your surgeon may ask you to visit your doctor who regularly treats you for diseases like heart disease, diabetes, etc. • Let your surgeon know the amount of alcohol you are consuming. • Try to stop smoking as it slows down the rate of wound and bone healing. • Make it clear to your surgeon if you have any fever, cold, flu. Herpes breakout or anything else before the surgery. • You would be asked not to eat or drink anything before 6 to 12 hours of the surgery. • If you are advised to take any medicine on that day, do that with a small amount of water if needed. It may take 1 to 6 months to recover completely after the surgery. You would be asked to wear a sling in the first week after the surgery. If there is much repair to be done, the sling bag has to be carried for a little longer. The doctor may give you medicines to cope up with the pain. It will depend on the kind of surgery you went through to suggest when you can go back to work or play sports. It can take just 1 week or several months. Your doctor would tell you about that. You may also take physical therapy to recover quickly if suggested by the doctor. It is extremely important to follow the guidelines provided by your surgeon for a quick and steady recovery.